Arizona skiing! Discover skiing in Arizona this year… with five different locations to choose from, you won’t have to travel far to get there! 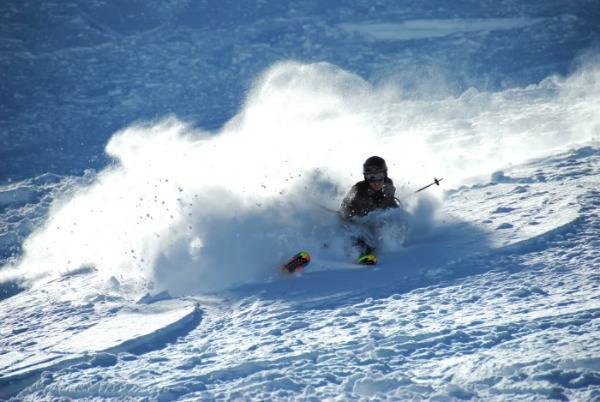 Of the five AZ ski resort locations, Arizona Snowbowl is known for being one of the oldest as well as continually run ski areas here in the United States. Arizona Snowbowl is located in Flagstaff on the San Francisco Peaks inside the Coconino National Forest. Whether you are a winter visitor or an Arizonan who looks forward to the cooler temperatures in the higher elevations in the winter, consider heading up to Flagstaff for your skiing trip. In the summer months, AZ Snowbowl also has plenty of activities such as hiking, running events, solar viewing, chairlift rides & BBQ, Peakside Café, live music and other special events. For trail information on Arizona’s most popular ski resort including hours, maps, cabin pricing, misc. lodging, ski lessons, and more, visit the official site for Arizona Snowbowl. AZ resort skiing at Sunrise Ski Park! Just 218 miles from Phoenix and 250 miles from Tucson, (12 miles west of Greer, Arizona) Sunrise Ski Park has both winter and summer activities. With a vertical drop of 1,800 feet, you can choose from skiing, mountain biking, hiking, fishing, scenic chair lift rides and special vacation packages which include nearby (just minutes away) site lodging are available throughout the entire year. For specific information on Sunrise Ski activities, maps, and general information, visit the official site for Sunrise Ski Park. Skiing in AZ include the Flagstaff Nordic Center, located just 15 miles away from the downtown Flagstaff area. Many enjoy Arizona skiing at the Flagstaff Nordic Center which sits 8,000 feet in elevation at the base of the San Francisco Peaks and to say it’s beautiful up there would be an understatement. In the winter, experience great cross country skiing! They have several trails totaling 40km for you to explore the beautiful wilderness. They also offer their visitors lessons. Log onto their site for additional information including downloadable map trails as well as for their webcam that gives you the current weather conditions. Near the southwestern entrance to the Grand Canyon, The Elk Ridge is located in Williams on the Historic Route 66. Elk Ridge offers great skiing with views. They offer rentals ski lessons and more for their guests! You can also enjoy snowboarding and tubing at Elk Ridge. Don’t have a snowboard? You can rent one of those too! If you have a group of at least 10, you can save money, but you do need to call ahead. Besides Arizona skiing, Elk Ridge Ski has special events throughout the year so be sure to check back often. For additional information about Elk Ridge including directions, maps and more, log onto their site. How about Skiing in AZ in the southern part of the state? During the winter, ski Mt. Lemmon mountain or gear up for some snowboarding amongst these gorgeous pines nestled into the mountain area! Group discounts and lessons are available. They also have nearby lodging for easy access to and from the mountain. They have delicious food at their onsite restaurants. To check out current weather conditions, ski information, maps, and the like, log onto their official site.